If you went out on Black Friday or shopped online on Cyber Monday to grab a cheap copy of The Lord of the Rings Extended Trilogy on Blu-Ray for the nerd you love this Christmas then you need to make sure you grab this too. I saw this at my local Safeway and had to snap a photo and share it here. I like how all the hobbits, Gimli, and Gollum are all shorter dispensers. This made my night. Better get yours before they sell out! 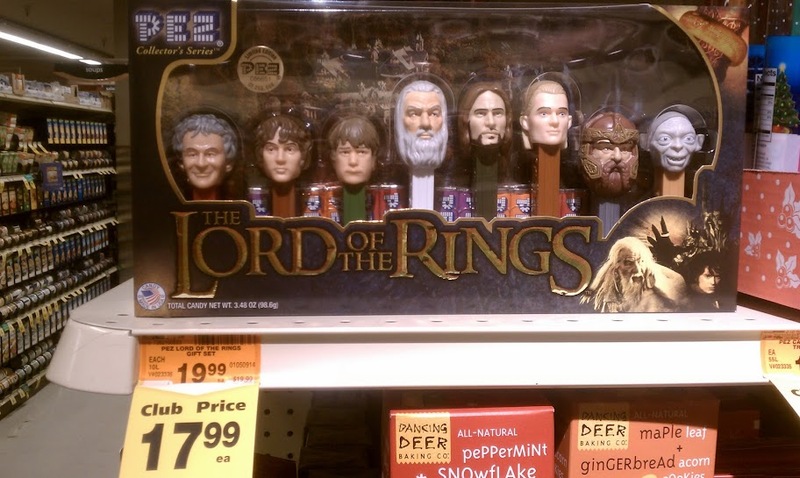 "The Fellowship of the Pez"